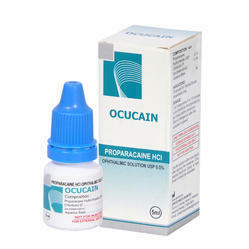 Our product range includes a wide range of proparacaine hcl ophthalmic solution usp 0.05% and carbachol intraocular solution. Indicated as a topical anesthetic agent for the eye. Available in an easy-to-use Plastic Dropper Bottle. We are manufacturers and exporters of Optichol- 0.01 Carbachol Intraocular Solution use for obtaining miosis during surgery. These solutions are used for widely in most hospitals and recommended by most doctors. They reduces the intensity of intraocular pressure elevation in the first 24 hours after cataract surgery. These solutions are manufactured from quality ingredients. 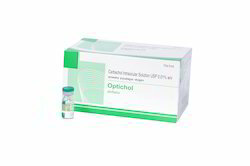 Our customers ca avail these Carbachol Intraocular Solution from us at reasonable prices. We provide qualitative packing in order to maintain original formation of these solutions. Store at a temperature between 15O Celsius and 35O celsius and a relative humidity less than 65%.